To provide a smooth, quick and easy check-in experience for you, please fill out and submit our Diamond Lane check-in Form at least 7 days prior to your scheduled and confirmed arrival date. If you are planning to have someone else check in for this reservation, please contact Owner Services before you complete this form. The information you provide on this form will be used to prepare your check-in. So that we can accurately update your reservation, it is important that you fill out the form completely, including your entire address. Also double-check the spelling of your name. 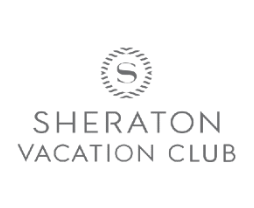 Please note that you will need to contact Owner Services to change the name on your reservation if you are not planning to arrive for your reserved vacation period or will arrive later than your other guests. *Please note that Guests with consecutive reservations will need to change villas for each reservation, unless guaranteed their deeded fixed villa for each reservation. Please Note: Check-In begins at 4 p.m. Should your travel schedule result in an arrival earlier than 4 p.m., the Bellman can store your luggage and you may enjoy the resort’s many amenities until your villa is ready. Names of any guests who will be staying with you. All guests will need to visit the Front Desk after check-in to receive Atlantis bracelets. Room keys will be provided only to the Guest under whose name the reservation is booked. 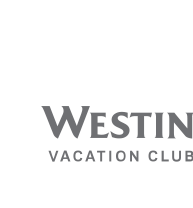 Your guests will need to visit the Front Desk to register for a resort pass. Guests not listed on the reservation will not be given access to the resort or villa. Guests must be 21 years of age and have photo ID and major credit card in their name to check in. Both Harborside Resort and Atlantis operate cashless. Guests who wish to have signing privileges to charge purchases back to the villa folio will need to visit the Front Desk to complete a signature card. Let us know if you need any of the following in your villa. Although we cannot guarantee we will be able to fill special requests, we will do our very best to honor them. I acknowledge that submitting special requests does not guarantee these requests will be fulfilled. I acknowledge that if I have multiple consecutive reservations, I expect to change villas for each reservation, unless I am staying on a home resort reservation that guarantees my deeded fixed villa or specific villa. Please click once to avoid duplicate emails.